Boris René has earned a second qualification to Andra Chansen with his entry "Her Kiss" and remaining unwavering in his positive attitude and gratitude for the opportunity to perform on such a large stage with an audience that not only spans millions in Sweden, but all the fans that tune in from abroad. "Entering Melodifestivalen, it's not a competition for me. I see it as a platform where I can go up and just perform and just have fun. I wouldn't say I was worried but of course, it was a special situation because you had Nano and you had Ace Wilder so you can never take anything for granted, that you will go through to Andra Chansen or the finals." 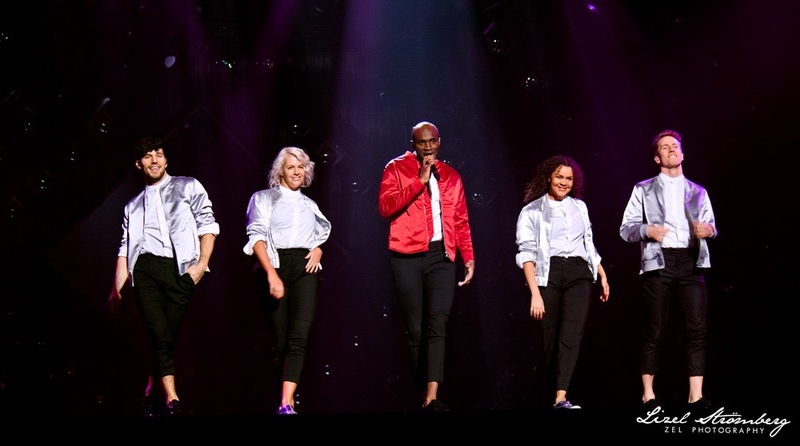 Boris has been keeping busy during the down-time between his two runs in Melodifestivalen, not only working on making the full-time transition from footballer to recording artist, but touring across Sweden as part of a Motown show that also features Afro-dite. "It's a Motown show where we sing a lot of Motown songs. "My Girl," The Temptations, Stevie Wonder, and all of those big artists. We've been doing it for a while now. I got that job right after Melodifestivalen last year. I'm very grateful for that. We started the tour last year in November so we've been touring for almost a year. It's a good experience for me. It's like a show where you take the audience on a music journey from where Motown started until today so we do the song 'Uptown Funk' [by] Bruno Mars. So it's a journey that we take the audience on. It's a fun show." Boris is a big fan of music from the Motown era and now works to develop his own sound that draws from those influences but in a manner updated for a 2017 audience. "When I see Michael Jackson, James Brown, I always try to draw something out from their music and put it into my music somehow. I have good people around me that can help me to just take some of those influences and do it so it can sound like 2017."